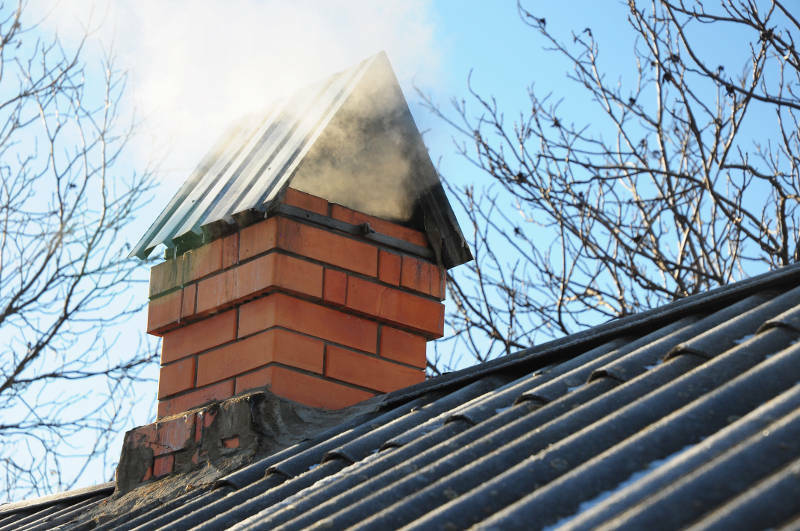 Chimneys and fireplaces can have many things go wrong with them if you aren’t careful. Often many of the issues intrinsic with them are associated with the faulty installation such as an incorrect firebox size or a misaligned flue liner, which goes along the inside of the chimney. Ideally, the flue should be one inch in diameter for every ten inches along the size of the firebox. In addition, the firebox should be pushed no more than an inch off the back wall. Many structural problems from erosion can also be a source of smoke coming off the fireplace. For instance, cracking along the chimney itself can upset the air pressure of the fireplace, causing the heat not to rise as efficiently as it’s normally designed to. What Can Go Wrong With a Chimney and Fireplace? Full collapses can, of course, cause blockages. Just the act of burning wood inside of your fireplace can cause a build-up of creosote, which can cause blockages or in extreme cases chimney fires. These fires can burn extremely hot for days, causing devastation to your chimney’s overall structure. Other than major repairs, an even bad practice can cause your room to become washed over in smoke. Fire grates that aren’t pushed far enough back can cause smoke and ash to be pushed into the room. Using the wrong wood too – such as wet or green wood – can make a fire that isn’t hot enough to lift the smoke out effectively enough. Gas powered fireplaces have their own issues directly related to the burner. A dirty burner might create a yellow colored flame rather than blue, causing insufficient burning temperature that creates more smoke than heat. If your gas fireplace is radiating black smoke it might be a ventilation problem. This can be expounded by a newer home – because it’s so well sealed, it might create a situation where no air can escape because there is not enough draft to let more air in, resulting in the smoke unable to escape. Even after you discover the source of your smoke, it can still leave its mark for a long time after. When it enters a home smoke can become embedded into the carpet, furniture, and other parts of the home. Thankfully there are some special ways of getting rid of the smoke smell. Probably one of the easiest things to do is lay bowls of charcoal around the home. Charcoal has the ability to absorb smells in the air, and either type can work. Though activated charcoal is notable for working the best as it can come in a powder form. Those used coffee grounds can also be put to good use – just let them dry out and then set them in especially smokey spots in your room. More household items that can absorb the smoke scent from the room, such as cut up apples and soaked balled filled with vanilla. All in all whatever you use make sure to let the bowls sit there for at least 24 hours to be effective. When it comes to clothing and other fabric, merely wash them with hot water and vinegar to get the smell out. Dump a cup of vinegar into the washing machine and set the temperature setting to at least warm. When it comes to fabrics such as carpet and couches, all you have to do is mix 2 cups of vinegar with a gallon of warm water, soak a rag in it and wipe them down. Boiling vinegar can waft through the house and attack the smells that have penetrated everything as well. If you use vinegar though it’s a bit of a two-pronged process – as you may have gotten rid of the smoke smell, now you have to contend with the vinegar one. Vinegar can be taken care of by sprinkling baking soda onto the affected areas. After you let it sit for 24 hours just merely vacuum or wipe it up. Ammonia can work similarly to vinegar. Merely mix a cup of ammonia with a gallon of warm water and wipe down everything as necessary. As before, baking soda will probably be needed to absorb the pungent ammonia smell. On a technical and more expensive level, you can use an air filter. If you do go this route make sure to use one with a certified carbon filter, as normal HEPA ones just won’t cut it. Professional companies can also be called to get the smell out – they use a machine to produce ozone molecules. This ozone attaches themselves to all the surface in a given room, and break up all the particles that are the source of the smell. This ozone machine can also be purchased, but for a considerable sum. If you go with this route be careful, as these machines can super-oxygenate a given area, making it potentially deadly to both pets and humans. The best way to get a smokey smell out of your home is to make sure it never happens in the first place. To do this, make sure to have a good practice when burning wood – always have the grates pushed back, and use dry wood that burns hot. Make sure to have a certified chimney sweep technician come out at least once a year to look at your chimney and fireplace to make sure nothing goes wrong with it. If you do get any smoke, just a days work with some household chemicals and tools can get the smell out of your home. If the smell seems to be permanent though, you can ensure you get rid of the smell by repainting the walls and ceiling, along with replacing the floor. Chimney and fireplace service to remove the smoke smell is the optimal solution to your problem. 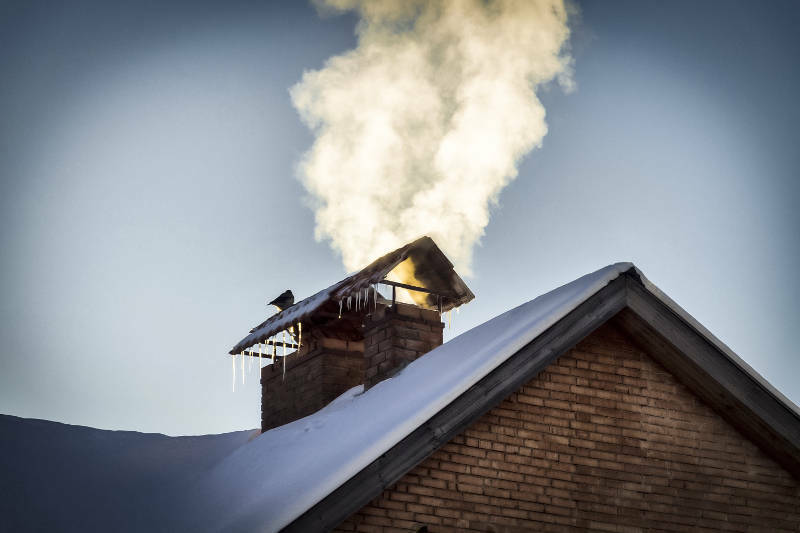 Early Times has over 30 years of experience in chimney sweeping, fireplace cleaning, and maintenance to take the smell of smoke out of your home. Get a free quote and speak to a professional today!